Saladin Ahmed has made a significant mark in superhero comics with his Marvel Comics work, earning the Best New Series Eisner Award for Black Bolt and going on to write compelling series like Quicksilver: No Surrender, Exiles, and the new, ongoing Miles Morales: Spider-Man. 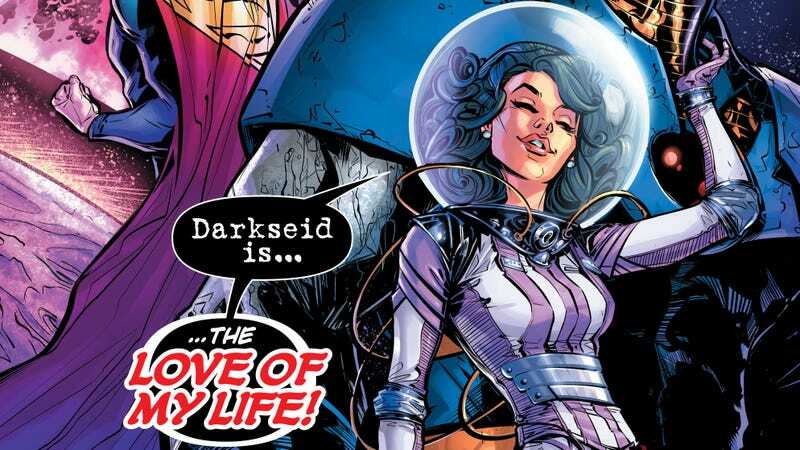 After showing his value to the Marvel Universe, Ahmed is dipping his toes into the Distinguished Competition’s sandbox with a short story in this week’s Mysteries Of Love In Space, the latest fifth-week one-shot anthology from DC Comics. This collection of sci-fi romance stories includes some big DC players like Lois Lane, Superman, and the New Gods, but primarily focuses on lesser known characters like Kilowog, Space Cabbie, and Lobo’s daughter, Crush, with Ahmed spotlighting Bizarro as he falls for a superheroine on an alien planet. This exclusive preview of Ahmed’s DC debut begins with Bizarro drinking his sorrows away in a bar, then jumps back in time to show the cause of his pain on Munchly-3. Bizarro’s dialogue is notoriously challenging to write and read, but Ahmed makes it flow smoothly even with all the opposite word meanings. Artist Max Dunbar and colorist Paul Mounts reinforce Bizarro’s sadness at the top with his despondent body language and sickly green palette for the bar, but both his disposition and the coloring brighten considerably for the flashback. Letterer Dave Sharpe gets to play around with different fonts for the alien characters, and he immediately establishes a connection between Bizarro and his new love in the final panel of this excerpt by giving Grotesqua the same jagged word balloon as Bizarro. This is a cute, light story, and Ahmed gets to show off his softer side with this one-shot’s romantic conceit.